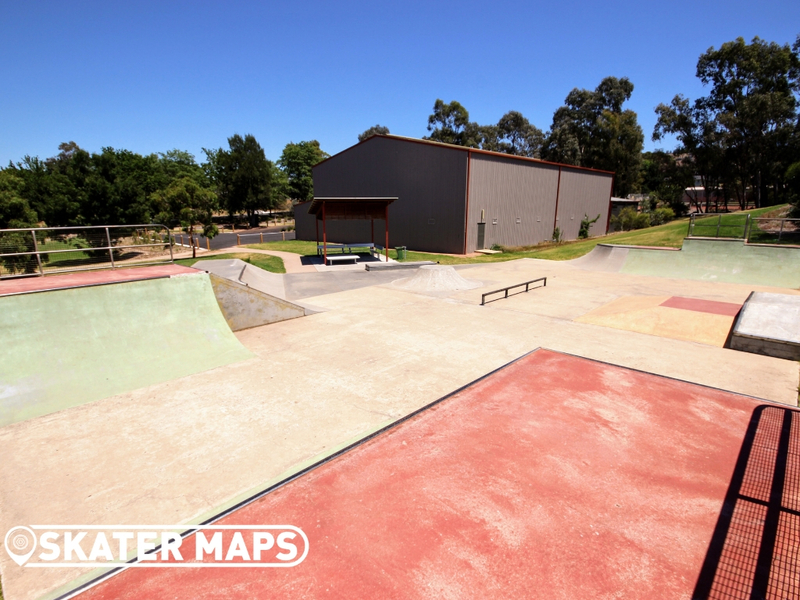 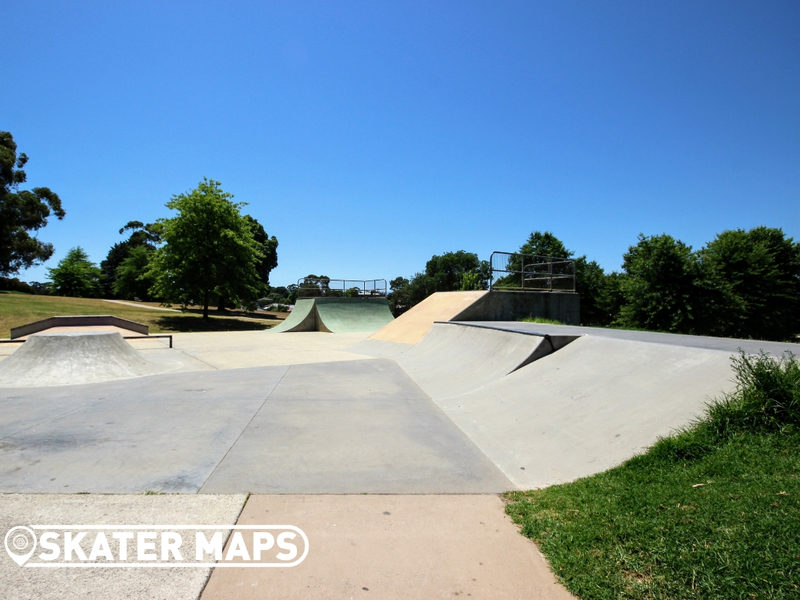 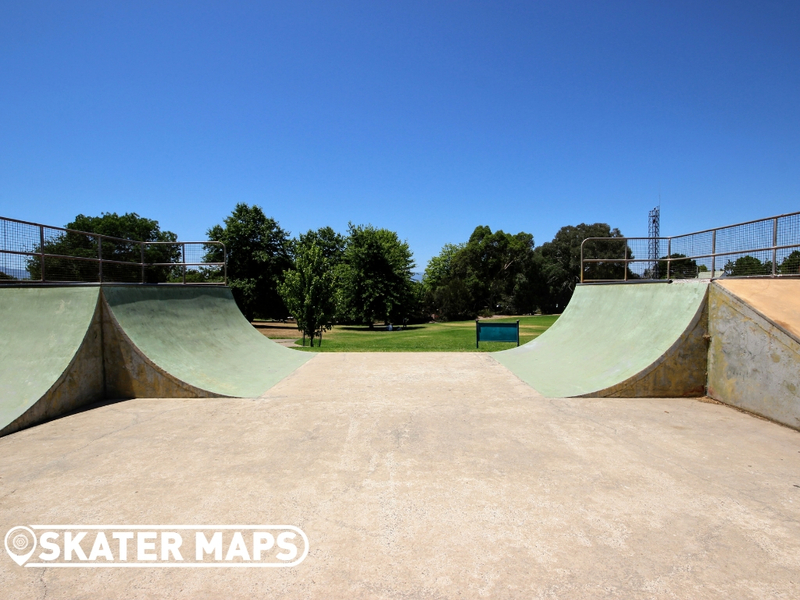 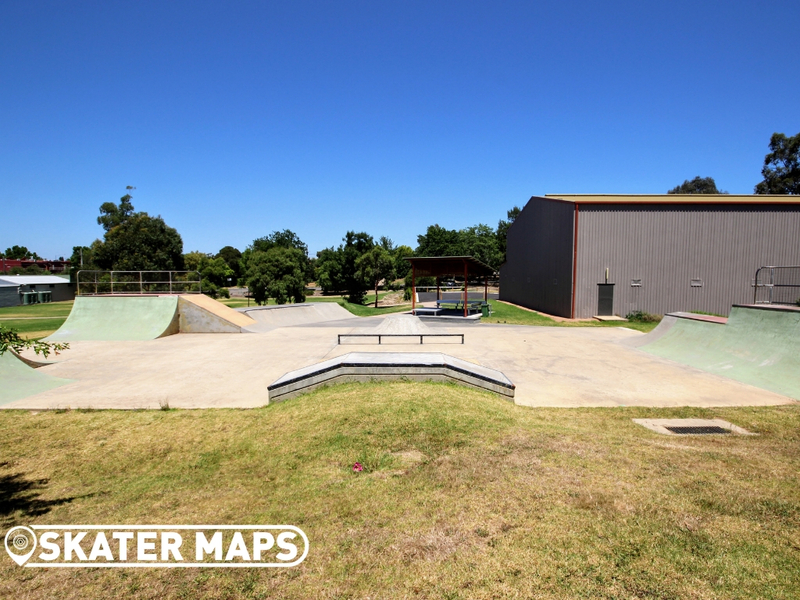 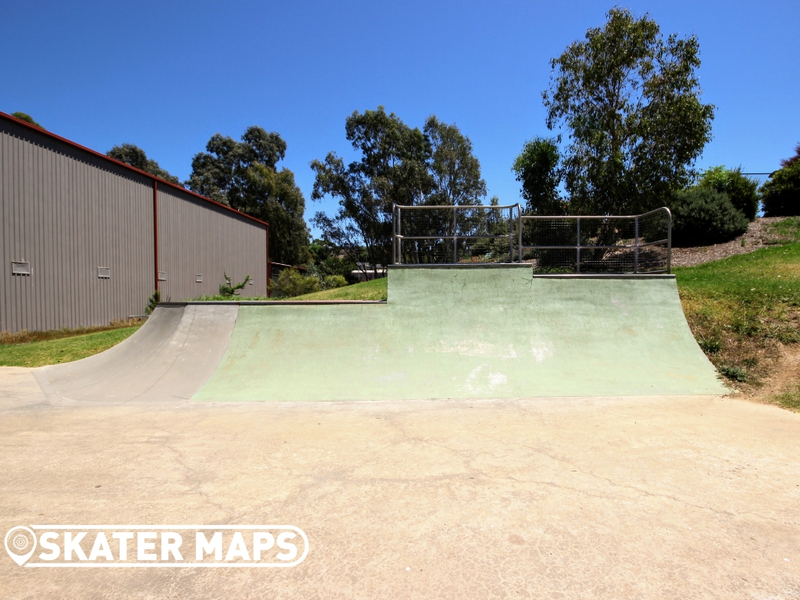 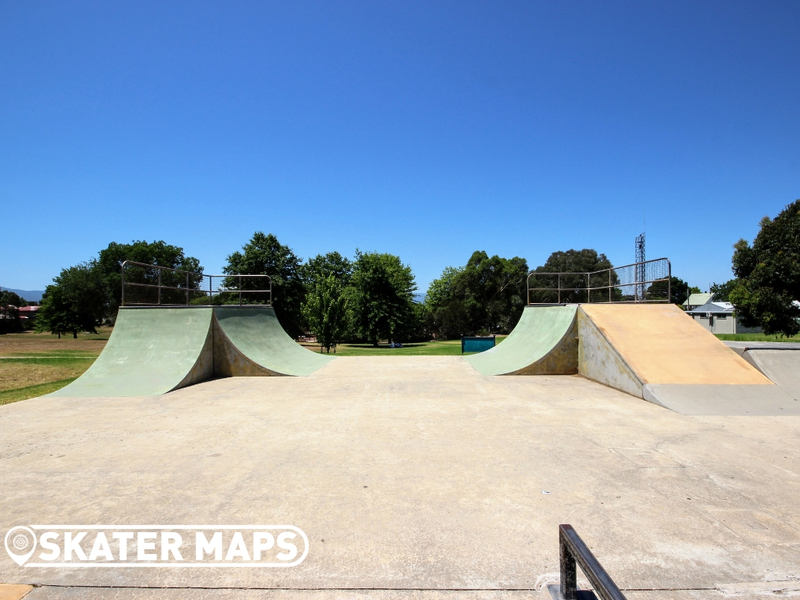 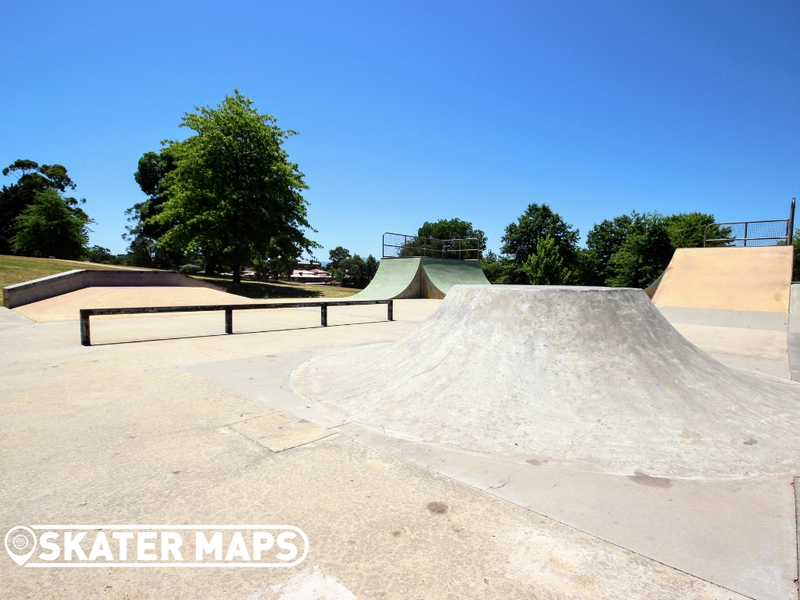 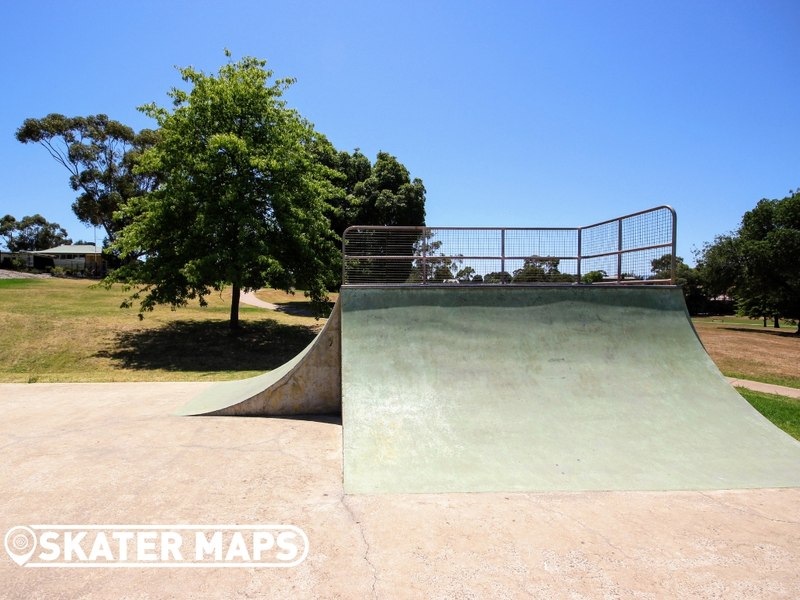 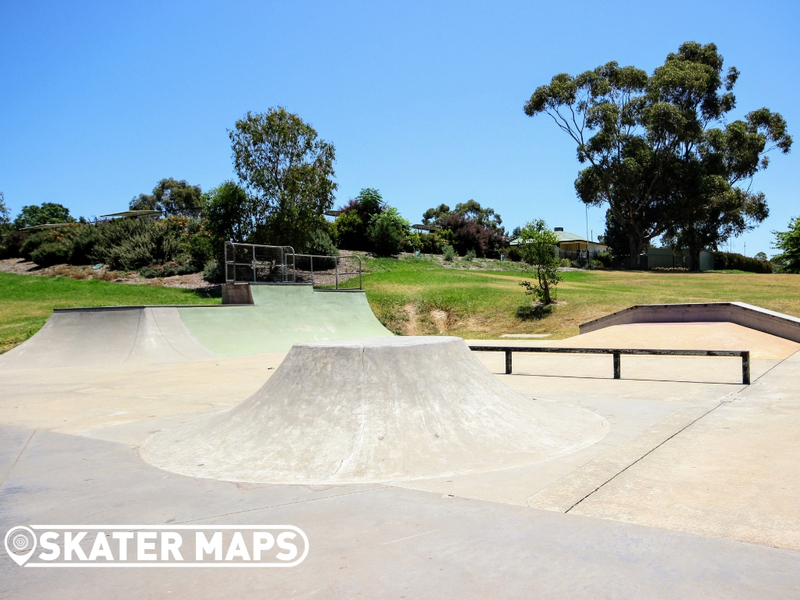 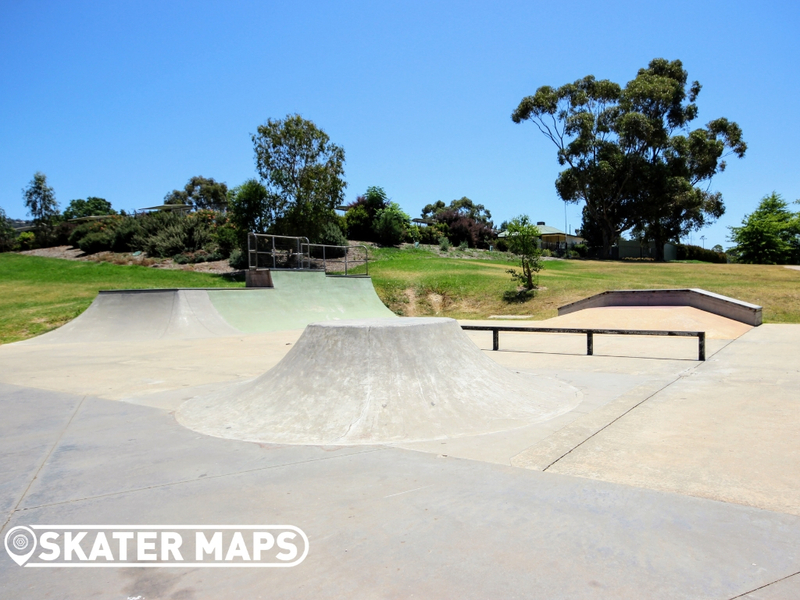 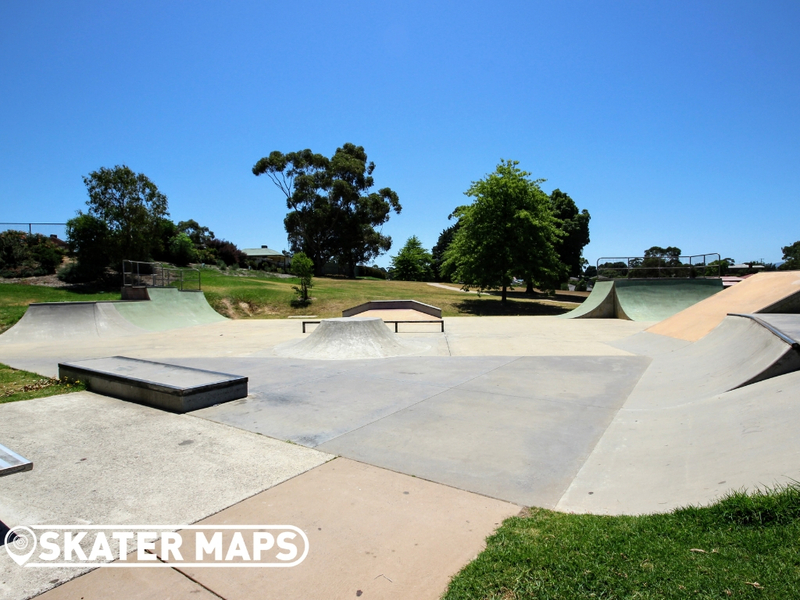 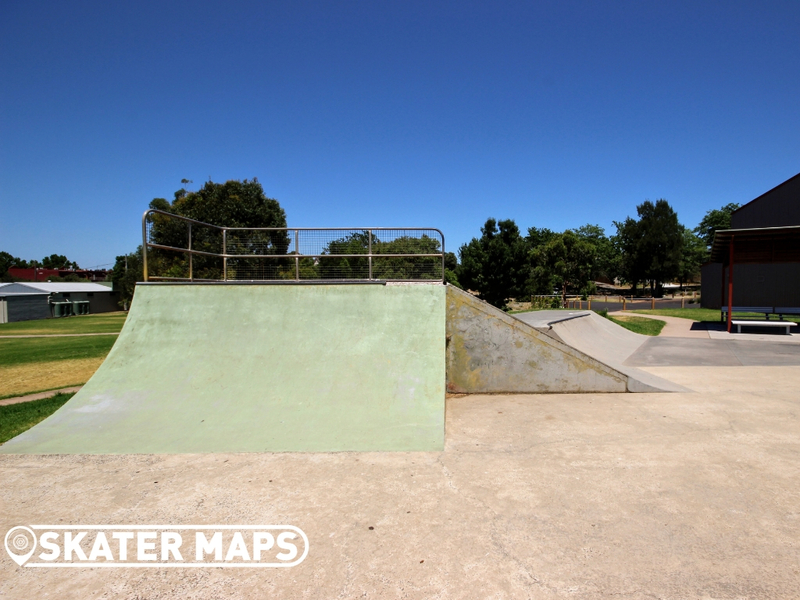 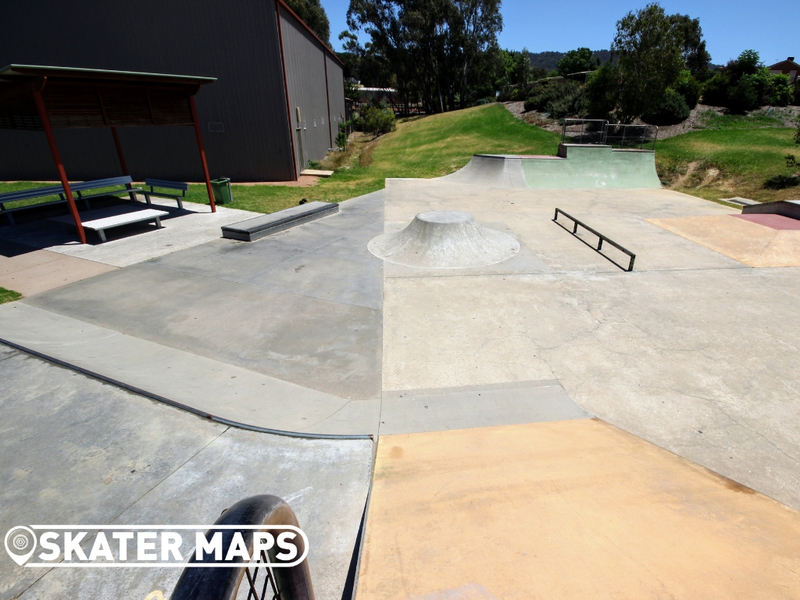 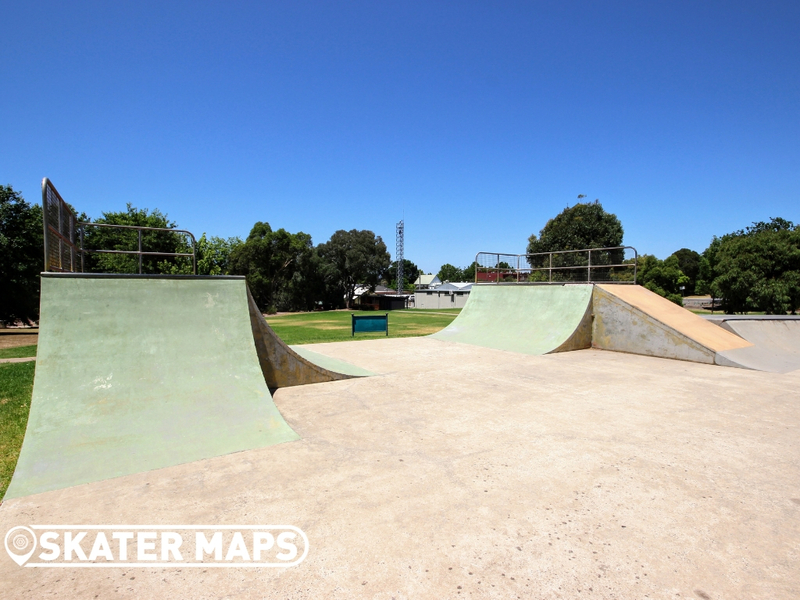 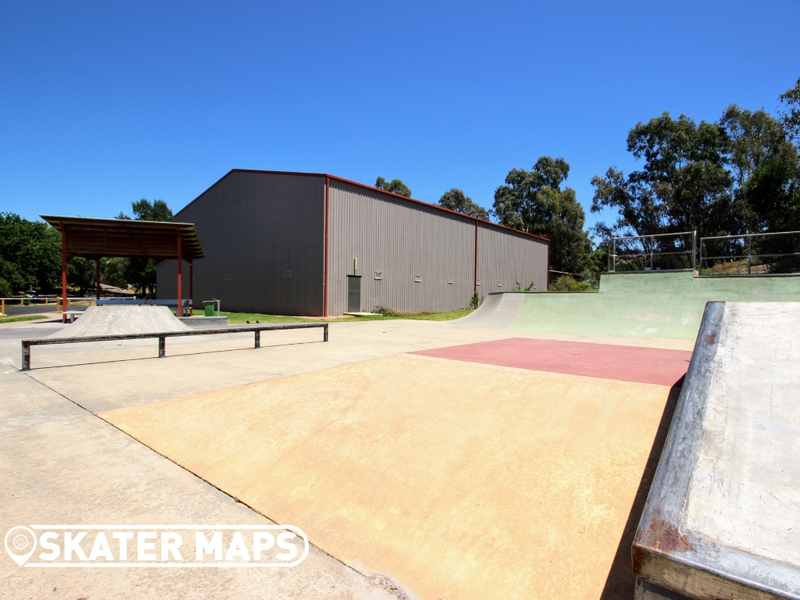 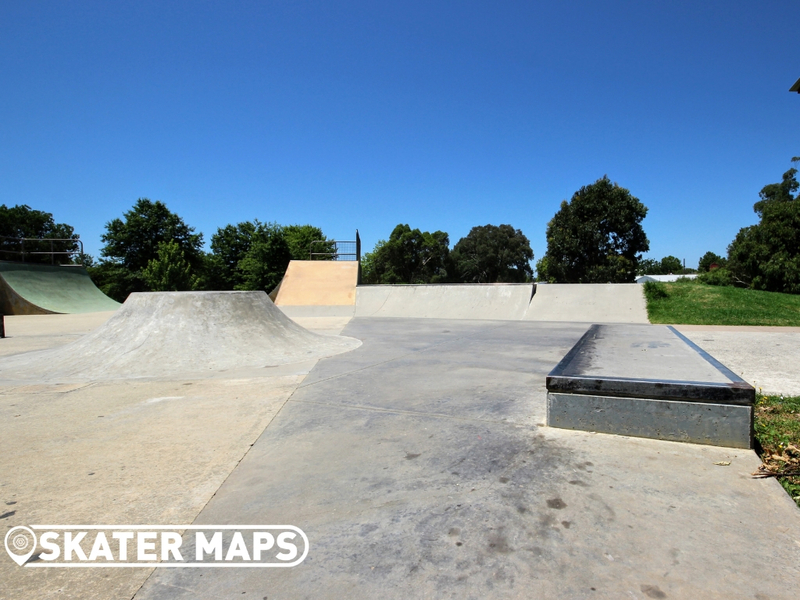 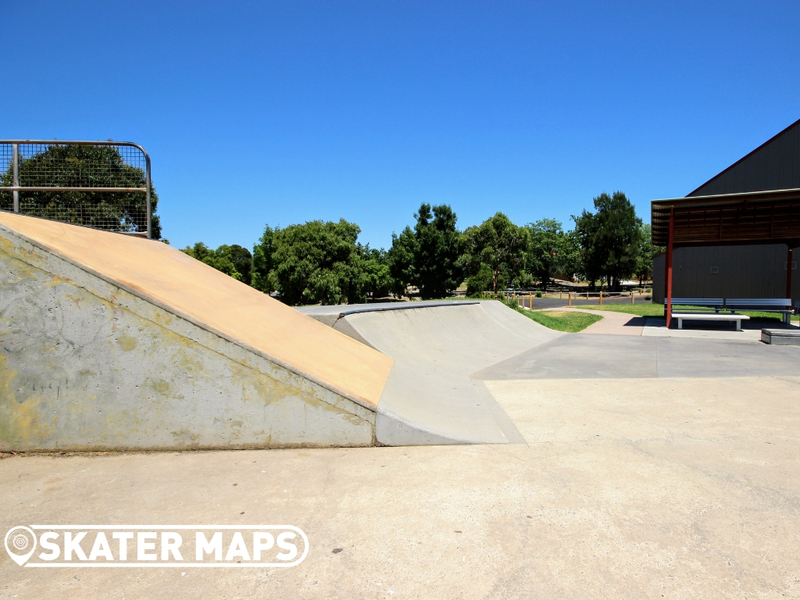 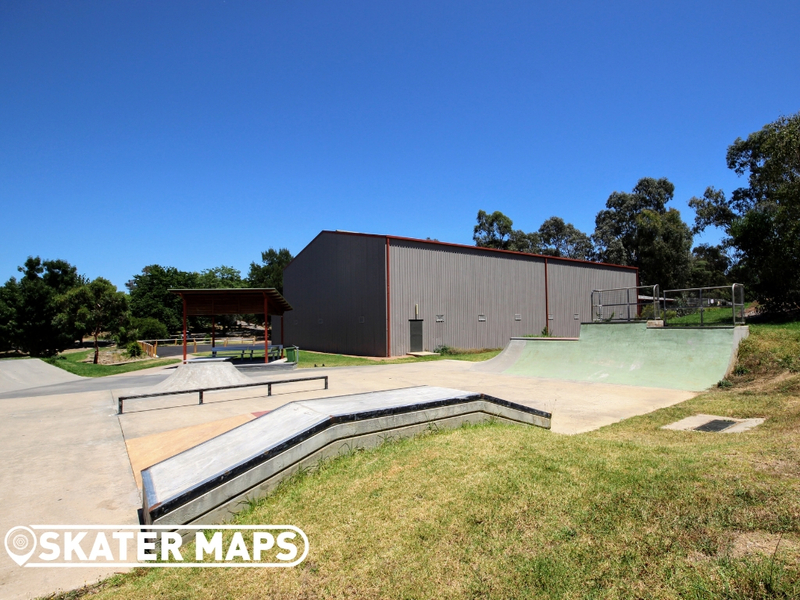 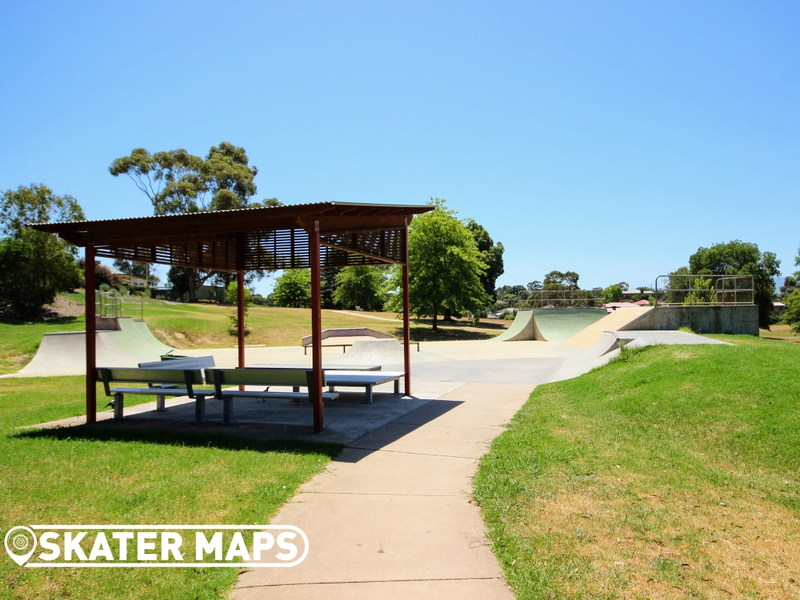 Yarra Glen Skatepark is a large concrete skateboard park with a mix of large quarters and a smaller range of street features. 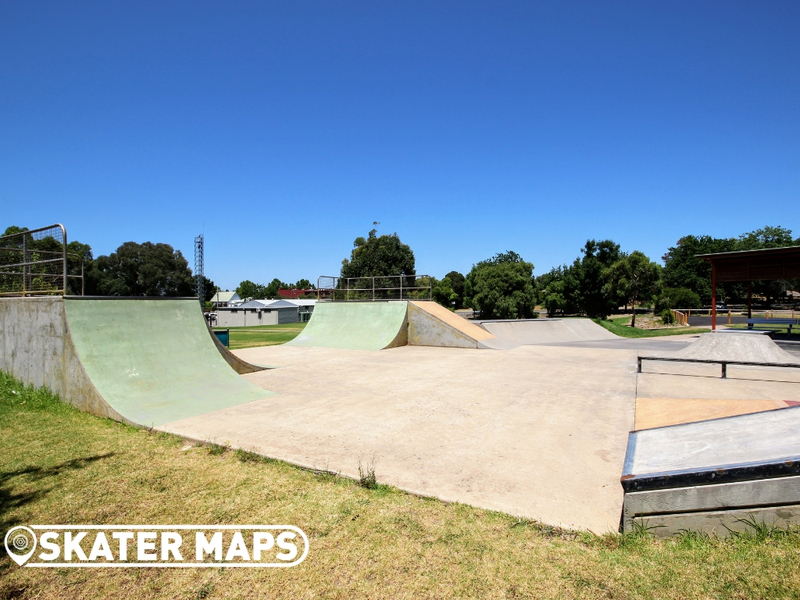 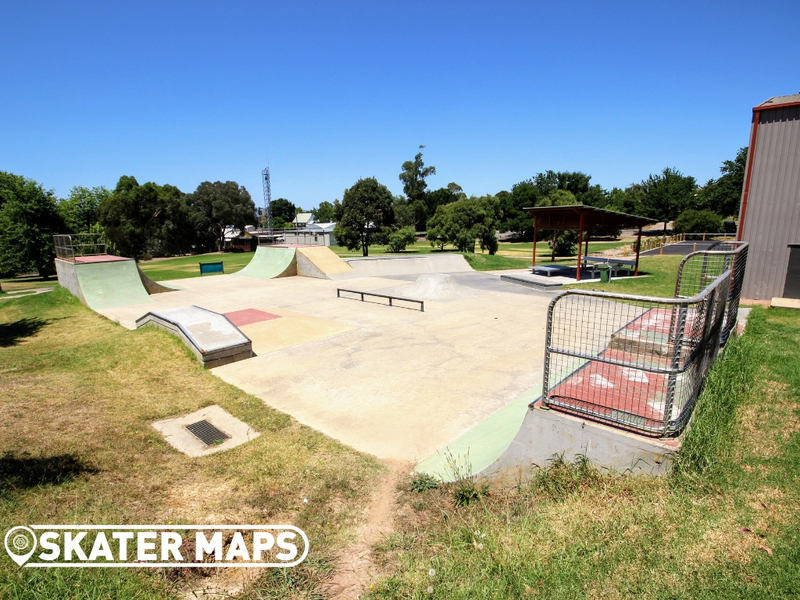 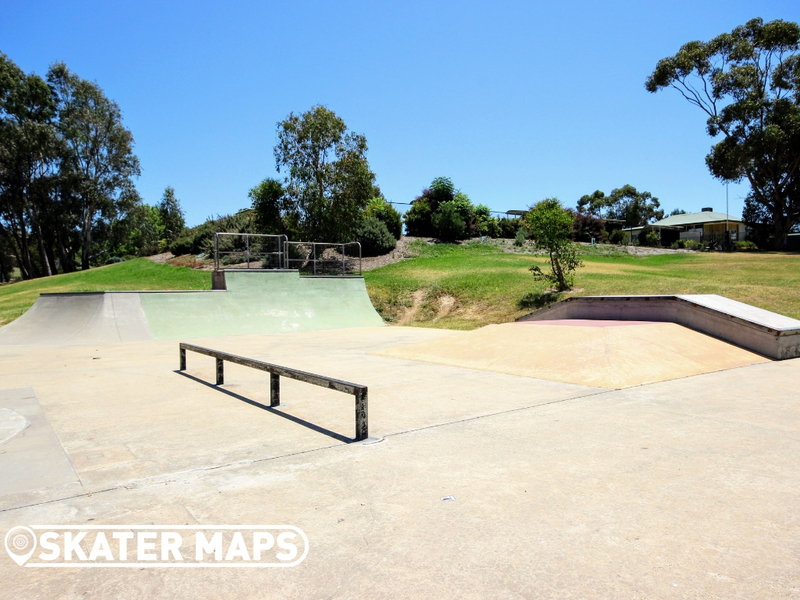 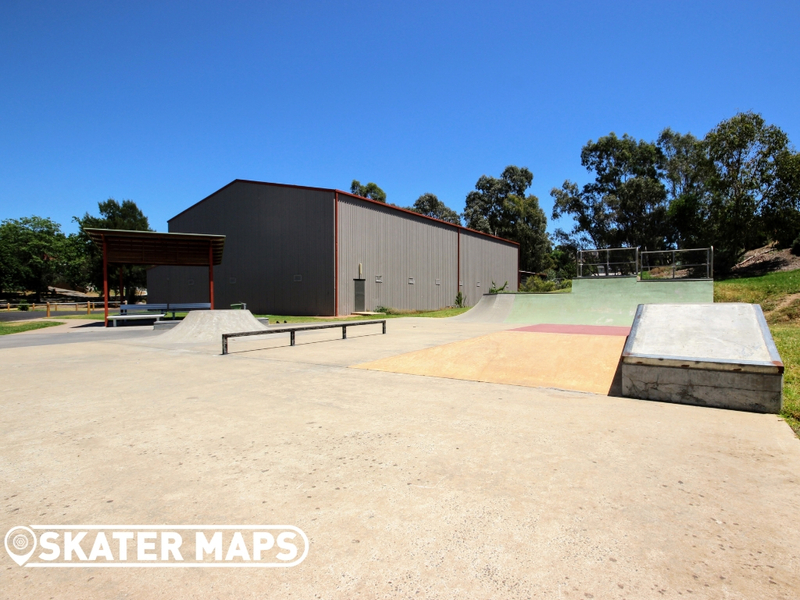 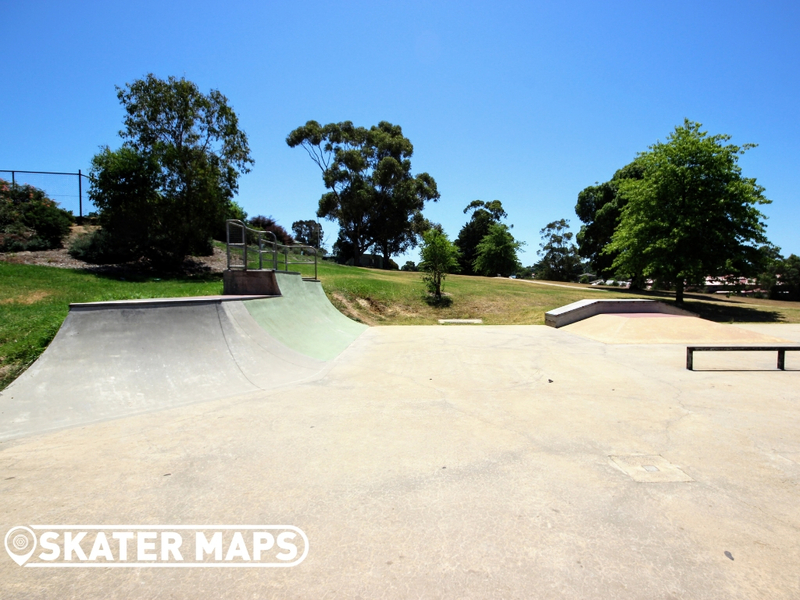 The skatepark can be found in the middle of Mckenzie Reserve surrounded by green grass in the center of town. 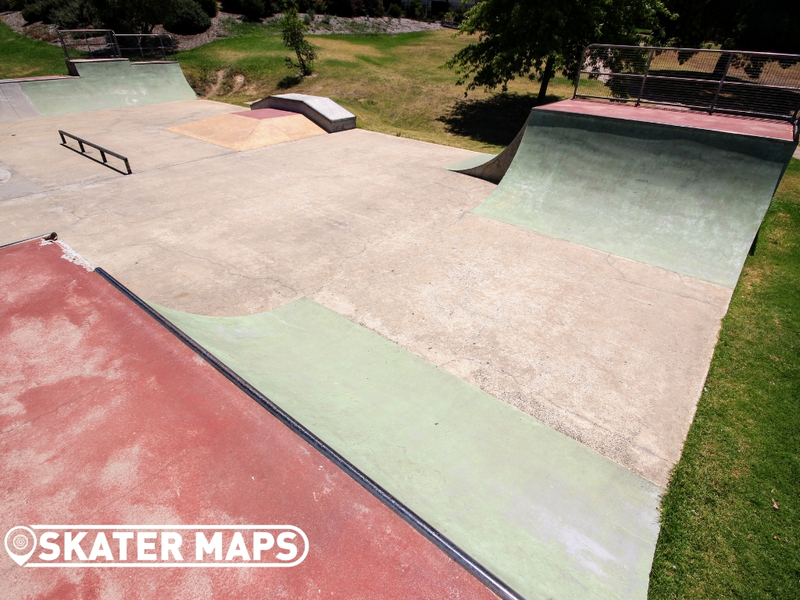 A very diverse skatepark for its size with quarters making a 6ft mini ramp with an otherwise open flow throughout. 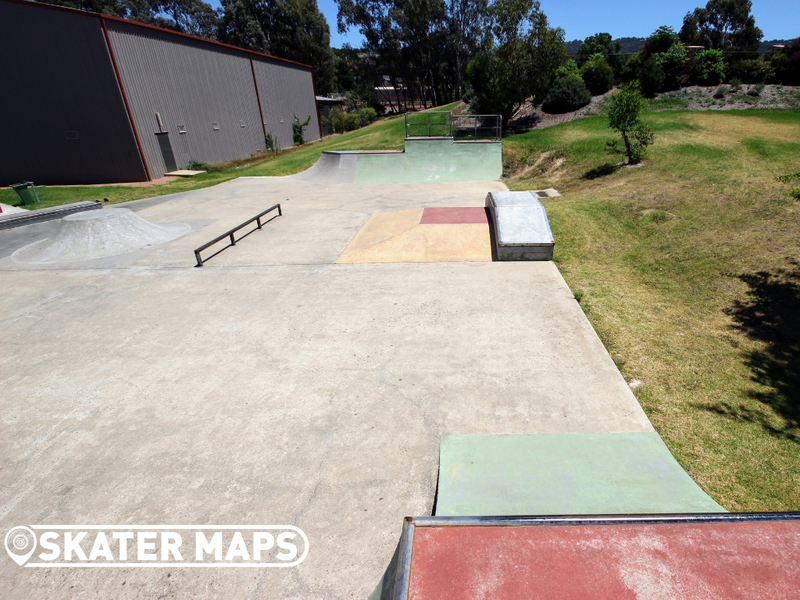 Street features include rails, ledges, volcano small quarters and much more. 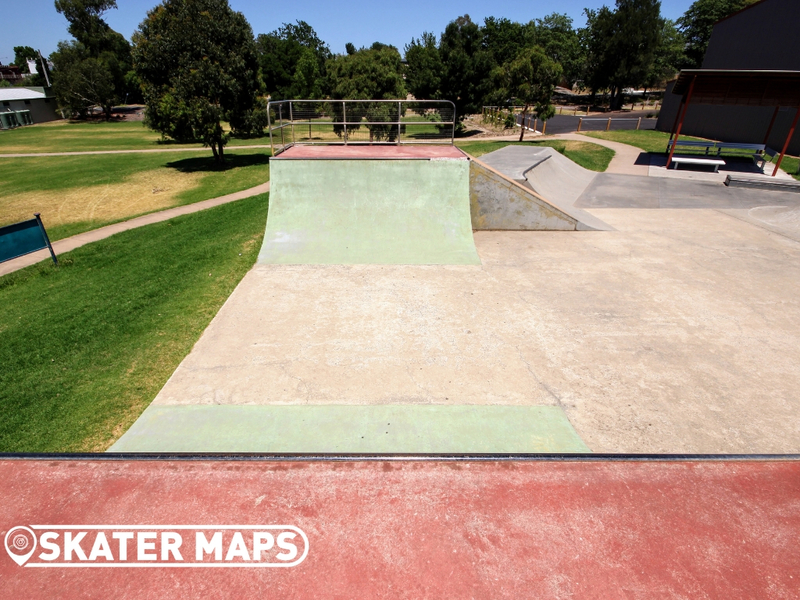 The concrete is smooth and even color coded and there is a great shelter to catch your breath in the shade.